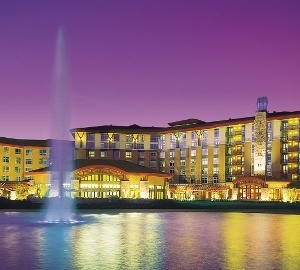 Harrah’s Cherokee Casino & Hotel, located within a three hour drive of Atlanta, is an enterprise of the Eastern Band of the Cherokee Nation. In addition to 3,600 slot machines, the casino offers 36 tables, including 10 non-smoking tables, where blackjack and baccarat are played using real chips and real dealers with virtual cards that are “dealt” by video monitors. 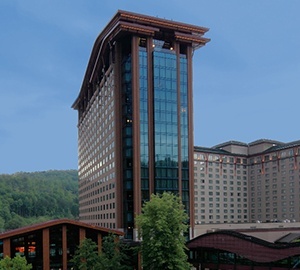 Besides gaming, the newly expanded Harrah’s Cherokee includes a 21-story luxury hotel and conference center. The hotel features a covered garage, arcade, indoor pool and workout room, as well as a 15,000-square-foot conference center. Since this was a multi-phase expansion, surveillance needed to be designed and implemented in phases as well; first for the new hotel tower and casino followed by a total update of the surveillance of the older sections after the current expansion opened. The surveillance upgrade and expansion were part of a major overhaul to the hotel and casino property, which included doubling the size of the legacy gaming space, adding a new hotel tower, and complete remodel of existing areas. The complexity of the installation involved 20-plus different construction phases of the project, closing various sections of the property for a time and coordinating closely with various contractors to install new systems while maintaining a live operating and gaming environment for the property’s guests. The scheduling of the installation was equally important, as multiple contractors would be working in unison to ensure minimal downtime of the casino’s existing facilities. 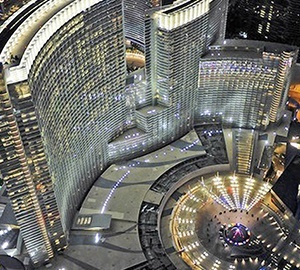 Other considerations for the project included transitioning the legacy system to digital; repurposing of existing equipment to minimize costs; the need for a head-end system that would require less power and have a more compact footprint; integration of the video surveillance system with hotel and casino business systems for a more streamlined workflow; and ensuring the design was scalable to accommodate any and all future growth. 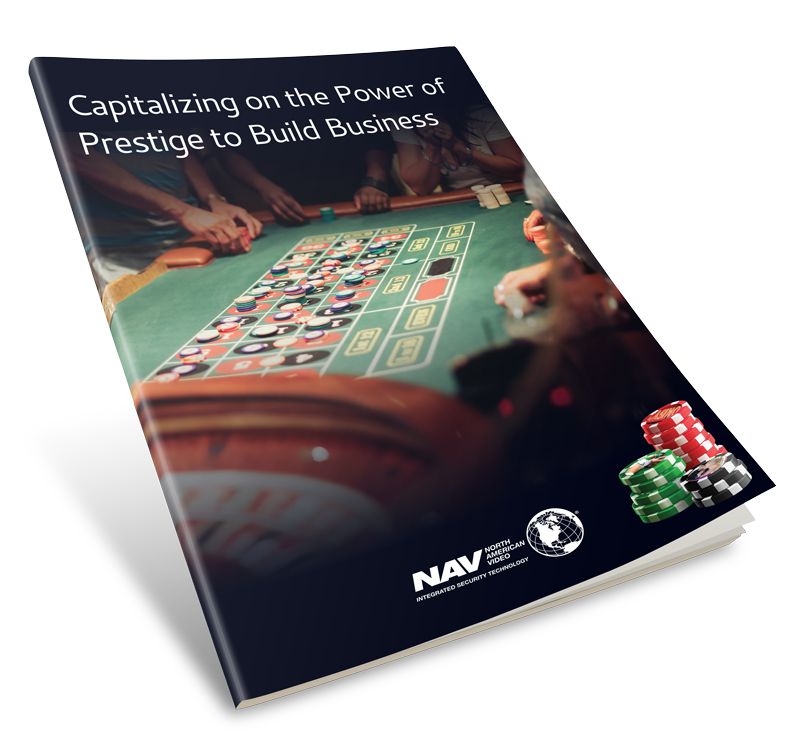 NAV was involved from the project’s inception, a significant factor in the overall success of the project. A design-build approach was used to create the system in cooperation with the operations, architectural and interior design teams. To minimize the impact of the expansion on ongoing operations of the property, they coordinated with main construction personnel and subcontractors. Coordination of the various phases to ensure the project was completed on time made intense project management an important function of NAV as the installing integrator. The enormous project involved installing a new video monitoring room, recording solution and system head-end, in addition to adding more than 3,000 cameras. The new system uses a hybrid configuration with analog cameras covering both gaming and non-gaming areas and the addition of IP megapixel cameras to cover digital table games. The vast majority of the casino’s 3,500-plus cameras are Pelco analog DF5 fixed domes and Pelco Spectra 4 pan/tilt/zoom (PTZ) analog domes. All are connected first to a Pelco 9780 matrix switch, whose two nodes provide more than 3,500 inputs and 128 outputs to the Pelco Endura 2.0 IP-based recording platform. Pelco’s Sarix 1.3-megapixel cameras, also connected directly to the Endura platform, cover the digital gaming tables as well as in some non-gaming areas such as the soft-count cash handling area.